There is a lot to like in these cameras like a real 5 axis (5 Stop) IBIS stabilizer on the full frame sensor which also works on adapted lenses and works with Nikkor VR lenses from DSLR cameras to increase the 3 stops to a real 5 stops hybrid stabilization feature. The video modes offer 4k at 24, 25 and 30p which is so 2014 as is the 120fps full HD 1080p slow motion mode. AF also changes between models at 493 points on the Z7 and 273 on the Z6. As you can see the Nikon Z series is all about taking the wind out of the sales of Sony Alpha Mirrorless cameras and to a lesser extent from Olympus and Panasonic. The cameras do have an Achilles heel when it comes to storage as the trend now is dual card slots on professional cameras. Since these only have a single slot, many professionals will not be able to use them in the field which may be a protectionist move to still keep DSLRs alive a little longer. This is a completely wrong move in our opinion as it cements Sony’s leadership in reliability. Others point out to the lack of Eye AF which is a Sony feature that uses your eye to track subjects you are looking at in the frame. This is a minor omission but one that Sony users have become accustomed to using for dependable subject AF tracking in the viewfinder. Battery wise it should be a good set of cameras as the 300 shot spec when tested yields much more in normal use which is standard for mirrorless cameras. Nikon Z Slow Motion Features? Right off the bat, there is no 4k UHD 60fps or 48fps or 50fps which have been used successfully in current high-end video mirrorless cameras for over two years now. This is a big omission as the Z6 should be able to do this with the lower MP count. The video above by majed sultan of the Nikon D850 at Full HD 1080p 120fps should give you a good idea of how the feature will look like on the Z series. In our view it is good but a little soft which may or may not improve. Due to lack of Nikon Z 120fps samples, we will have to wait for them to pass judgment! The Slow motion mode in the Z 7 and Z6 is an on and off 120fps 1080p spec which is good and respectable but not class-leading when Panasonic is already at 240fps on the GH5s and Sony has had it for years on the RX series of cameras. The Nikon Z 7 and Z 6 cameras are a testament to the disruption mirrorless cameras have created in the high-end camera space. Adapt or die is the word on the street and Nikon and Canon who were mostly dormant in the professional space mirrorless market, now have to lick their wounds and release products that can continue their dominance of the professional space. For some, the Z 7 and Z 6 will be enough of a leap to switch from their heavy Nikon DSLRs and forget about Sony or other manufacturers. For many others, it shows that Nikon is trying but it is not yet there to lead the way in innovation and features. The exemplary Nikon ergonomics are there, the AF also seems to be present with excellent results and the compatibility with over 90 Nikkor lenses from the DSLR space make it a viable system for the future and an excellent first try at capturing that market. 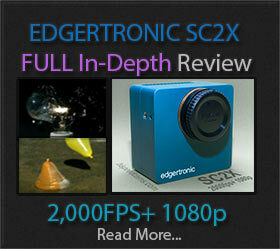 As far as video features, there are headphone and mic jacks, Nikon LOG flat profile, 4k up to 30p and 120fps Full HD. These are all good specs but are not a videographers dream list. It checks the basics and it should appease many users that dabble in video but for professionals that depend on footage that is a cut above the Sony and Panasonic lines are the better options compared to the Z line. If you have an old Nikon camera that needs updating any of these cameras makes sense to leap into a refreshed line with some future proofing. You will be able to use your lens collection for the most part and several new adapters will come out with some sort of compatibility in due time. People are already talking about Canon and Pentax electronic adapters which will be excellent for video pros. If you are a Sony or Panasonic user that likes high frame rates, we see no reason to switch to Nikon just yet; Canon is also expected to show their full-frame mirrorless camera line soon which may put more features on the table however unlikely. Our advice is to stay put, see how it evolves and wait a product generation before choosing a Nikon or Canon mirrorless camera. Bugs and issues should be ironed out by then and the features should be on par or at the very least more advanced than the current offering. 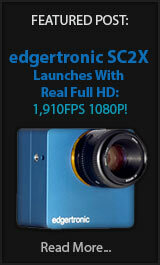 *Visit our HSC Camera Guide* For High Speed Recommended cameras! Previous PostInsta360 Pro 2 Can do 120fps at 4k!Next PostTop 10 Slow Motion Video Editing Software List by Filmora! Please wake me up when things get more exciting than 1080p 120 fps. Canon’s release is imminent and Panasonic will join Full Frame mirrorless very soon. Higher frame rates might get a push by the increased competition. Canon is not offering 120fps @1080 in anything other than 1DX . So having that advantage with good auto-focus is a huge plus for Nikon users and new customers to the Nikon brand. Nikon already has lots of lenses which you can still use. Sony is a strong competitor but I don’t think they are as well made as Nikon or Canon. People who have been waiting to jump to Sony may be relieved that they don’t have to lose lots of money in switching brands anymore. Z6 is comparable to A7iii and similarly priced. Nikon has 10 bit output and lot of video features that will satisfy a lot of people for now. Nikon is making great strides to be competitive in mirrorless, Canon needs to step up their game.